Mineiro remains the most baffling of Chelsea’s Brazilian stars (I use the term star loosely). There is so little to say about him, so utterly underwhelming was his contribution, that I will result to singing his name to the Canyonero song from the Simpsons for the next 5 minutes will drastically thinking of things to type. Minny-air-ooooooooo. Chelsea signed Minerio (you’re singing the Minnnnnny-air-ooooo remix by now, aren’t you?) as cover for the injured Michael Essien. Despite looking like Claude Makélélé he was not fit to tie the great man’s boots. 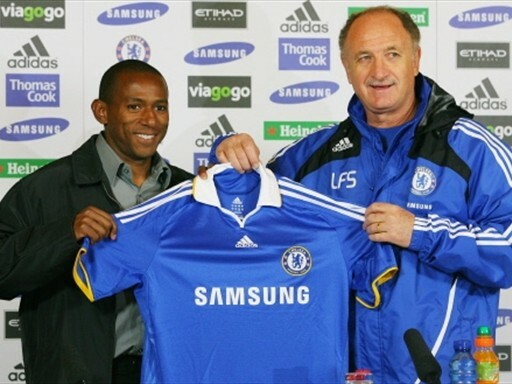 It was a completely baffling piece of business by Scolari, which no doubt proved to all that his credentials as a club manager should never extend to transfer business. Mineiro joined with little fanfare, maybe touched the ball 20 times in his entire Chelsea career before departing to absolute anonymity. Trivia question – without Googling, what shirt number did Mineiro wear? This entry was posted in The Samba Series and tagged brazil, chelsea, mineiro, phil scolari, samba series by The Samba Series. Bookmark the permalink.